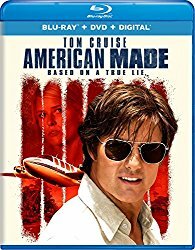 OVERVIEW: Universal Pictures Home Entertainment presents American Made, the international escapade based on the outrageous (and real) exploits of a hustler and pilot unexpectedly recruited by the CIA to run one of the biggest covert operations in U.S. history. This Rotten Tomatoes "Certified Fresh" and explosively entertaining film is available on Digital December 19, 2017 and on 4K Ultra HD, Blu-rayTM, DVD, On Demand and via the all-new digital movie app MOVIES ANYWHERE January 2, 2018. Barry Seal, a TWA pilot, is recruited by the CIA to provide reconnaissance on the burgeoning communist threat in Central America and soon finds himself in charge of one of the biggest covert CIA operations in the history of the United States. The clandestine operation that would be exposed as the Iran-Contra Affair scandal spawns the birth of the Medellin cartel and almost brings down the Reagan White House. 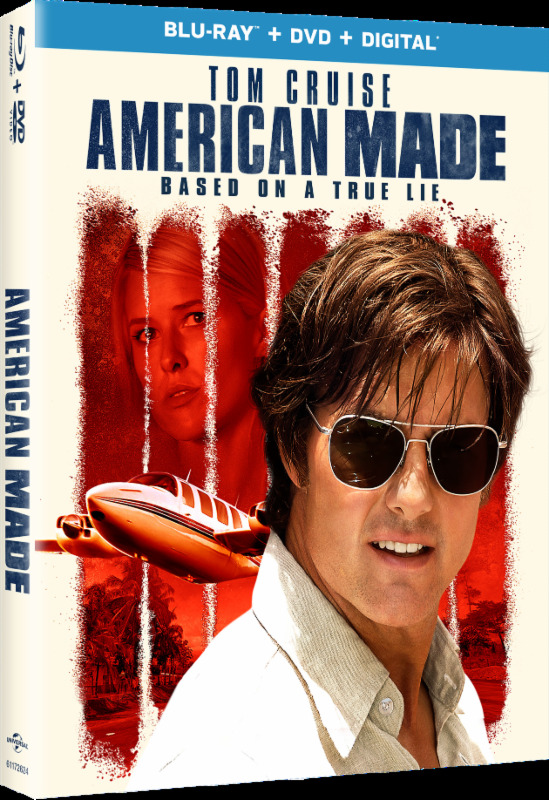 With over 30 minutes of exclusive extras on the 4K Ultra HD, Blu-rayTM and DVD, American Made is a can't-miss, must-own event, bringing viewers behind-the-scenes for a look at the making of the film, as well as astonishing insights about the real Barry Seal. SYNOPSIS: Tom Cruise reunites with his Edge of Tomorrow director, Doug Liman (The Bourne Identity, Mr. and Mrs. Smith), in this international escapade based on the outrageous (and real) exploits of Barry Seal, a hustler and pilot unexpectedly recruited by the CIA to run one of the biggest covert operations in U.S. history. BLU-RAY: The film is presented in widescreen in a 1.85:1 aspect ration preserving its theatrical format. The picture is just flawless. Not only the picture looks great in this release, also the sound it is good, a 5.1 Master Audio in English that provides a good complement to the picture. It also includes English and Spanish subtitles.